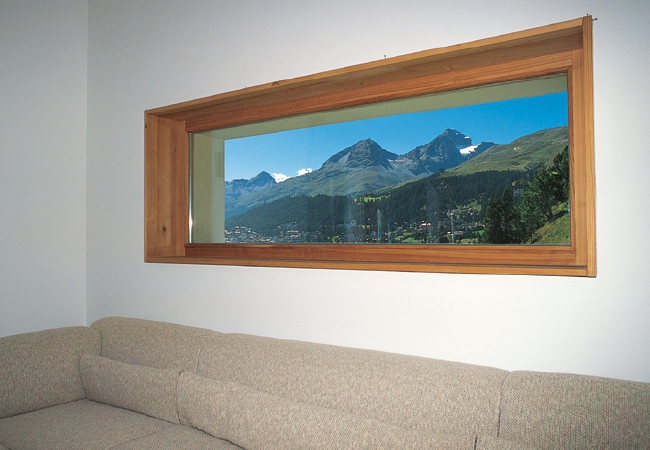 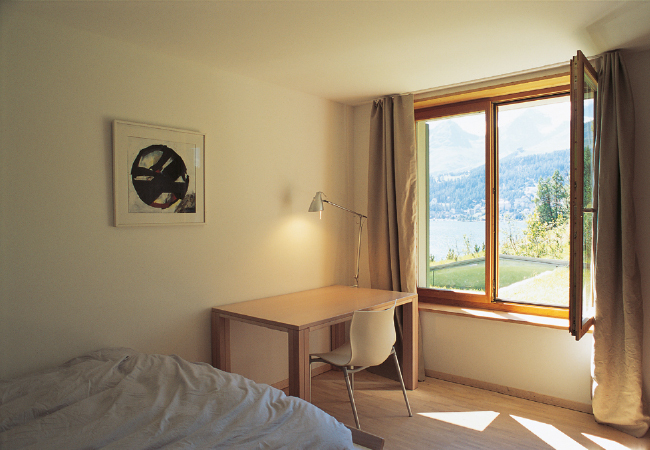 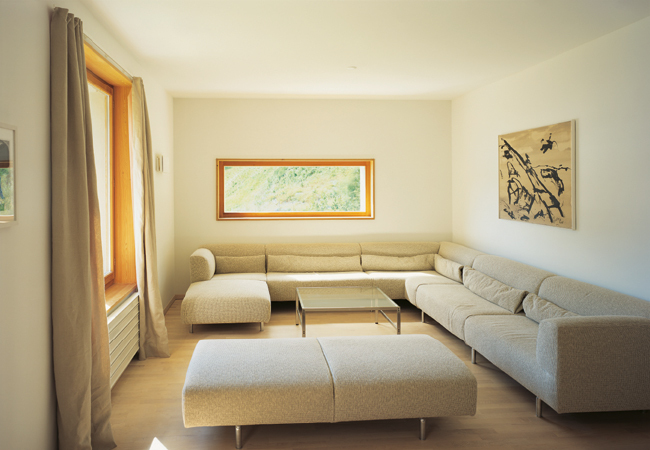 The tastefully appointed rooms of Chesa da Cultura overlook the wide and sunlit Engadine Valley. 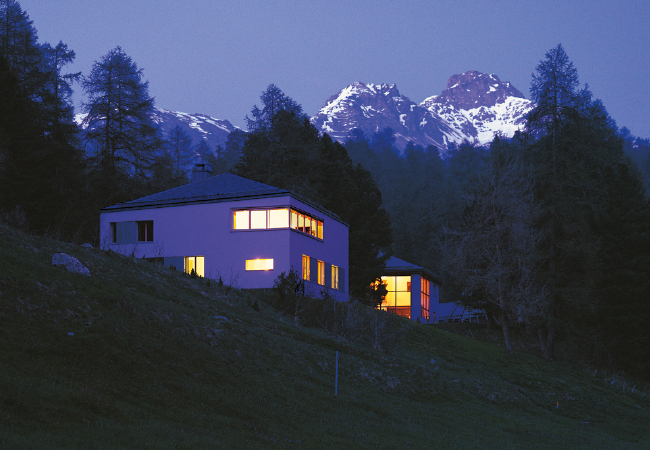 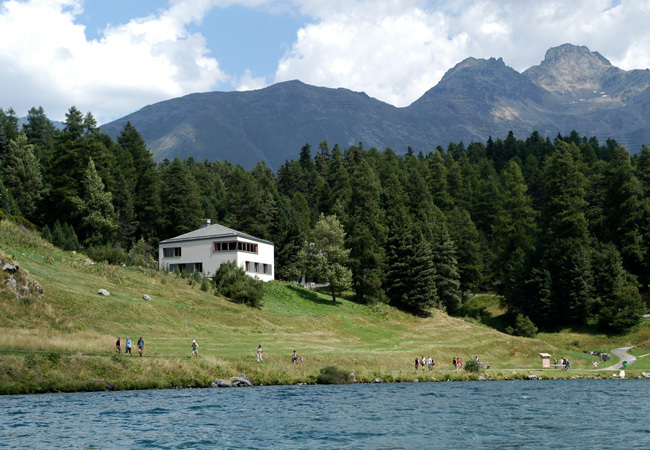 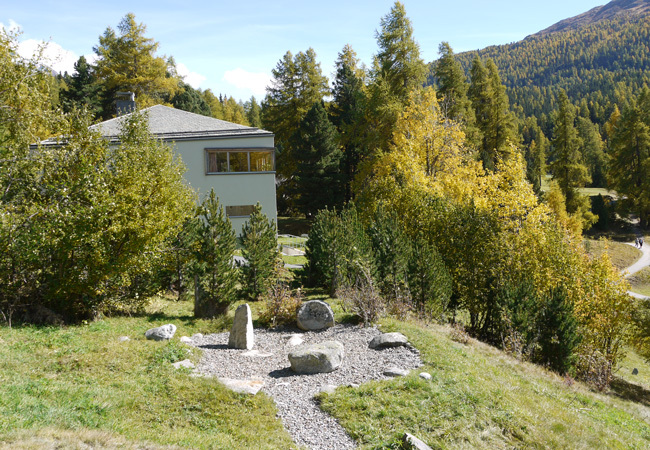 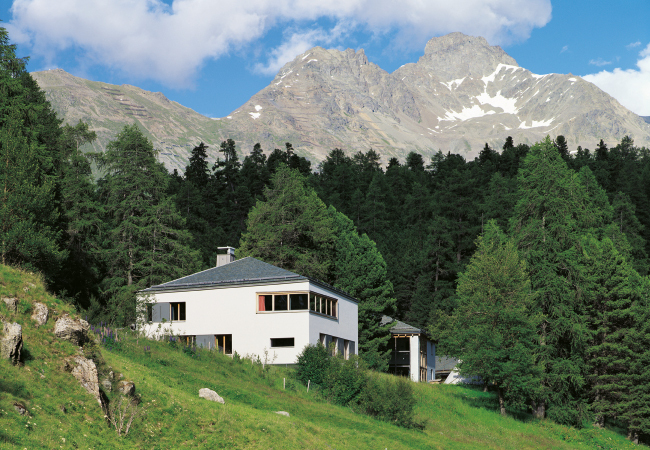 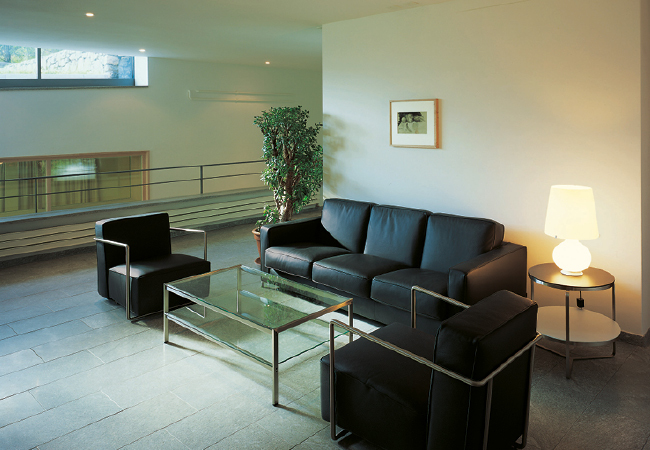 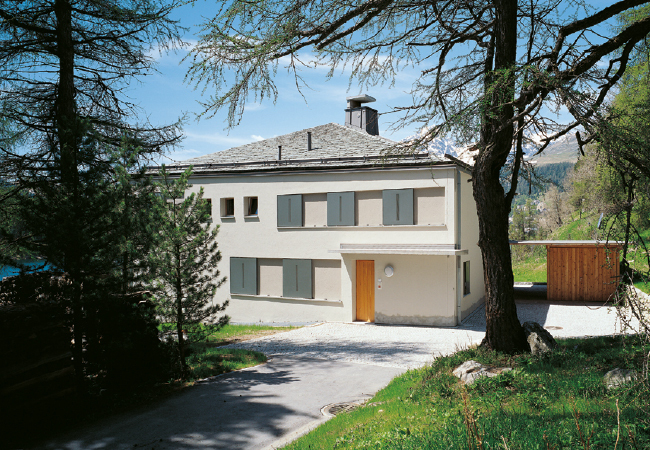 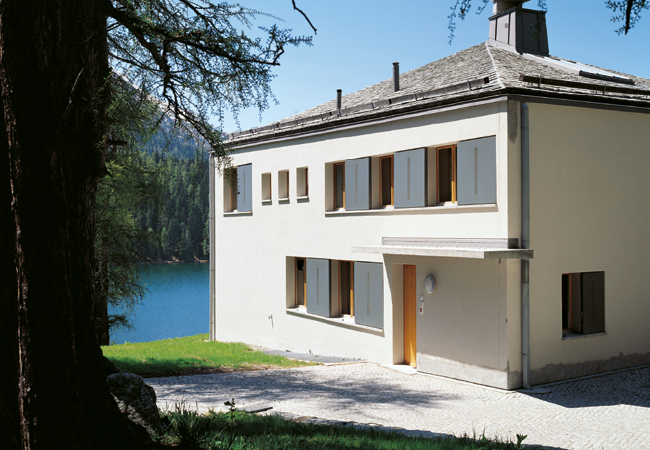 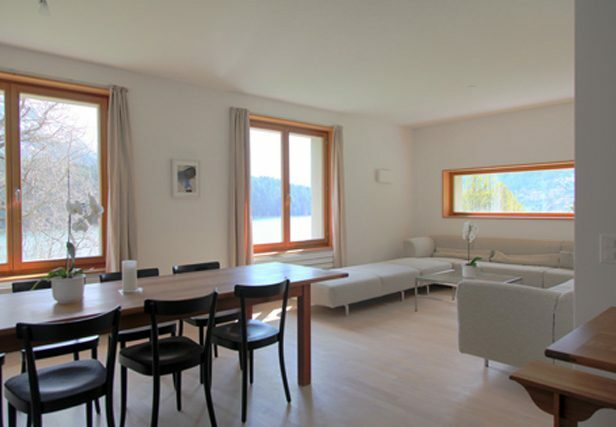 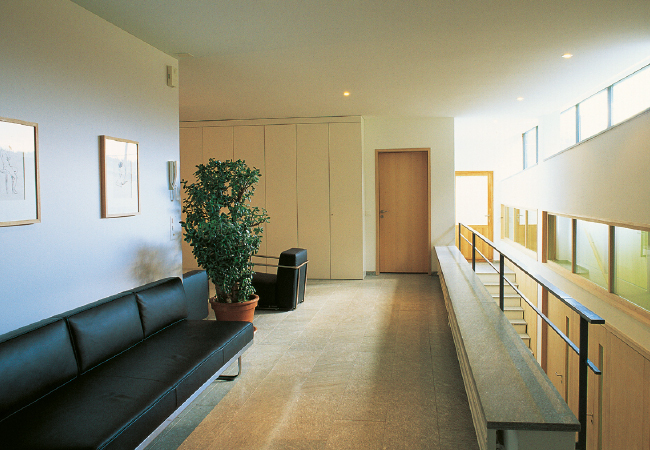 Its modern infrastructure is adapted to contemporary needs and offers artists and those who love nature and the Engadine a retreat in which to relax, work, and exchange ideas. 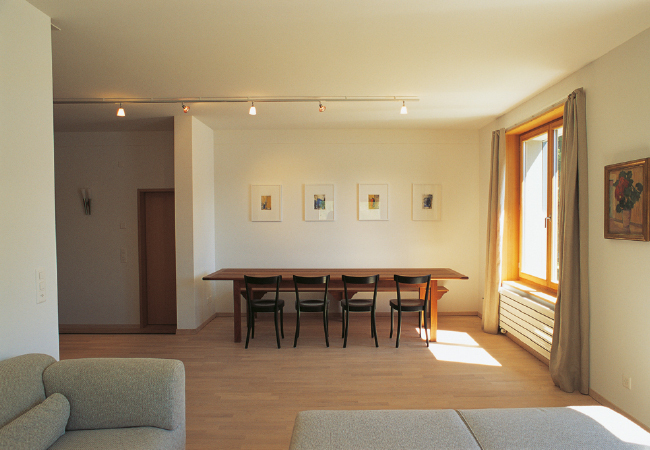 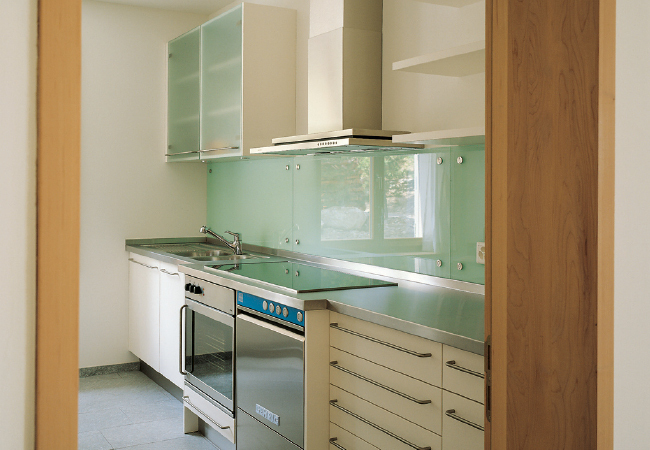 A total of nine bedrooms, which can accommodate up to 25 beds, are at disposal. 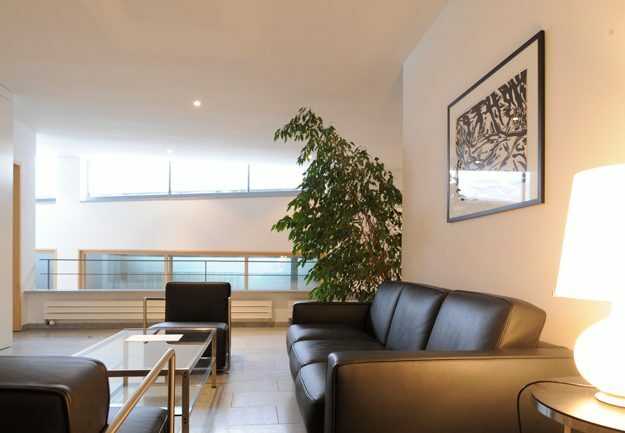 The ground floor includes 1 living room with dining room, 1 kitchen, 4 rooms, 2 bathroom units and, on the basement floor: 1 spacious lounge with a seating area and 5 rooms. 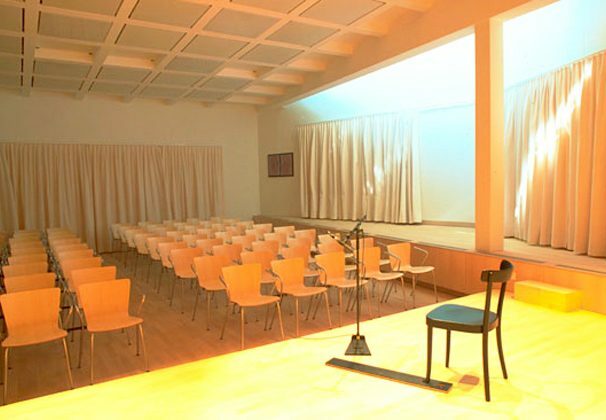 Chesa da Cultura has a music hall equipped with 100 seats and a stage with a Steinway Concert Grand, Model C. This is where concerts, cultural events, and recordings take place. 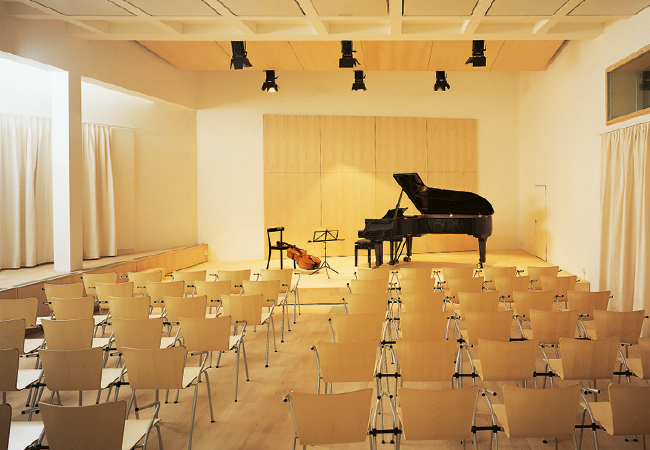 The music hall owes its excellent acoustics to the work of acclaimed acoustician Russell Johnson, who was well-known for his contributions to such renowned concert halls as the KKL Lucerne, Dallas Concert Hall, Birmingham Symphony Hall, etc. 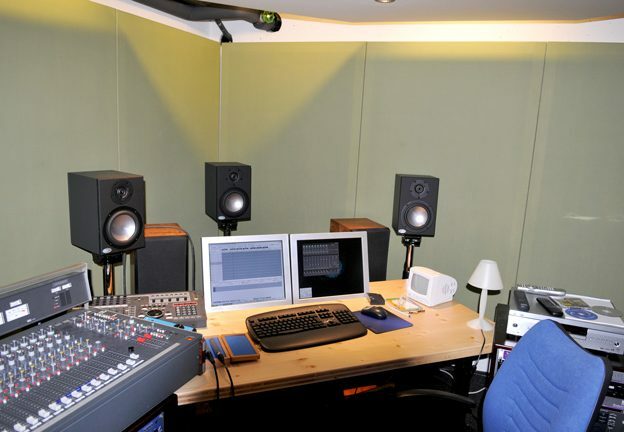 The recording studio, which is independent from the music hall, is a state-of-the-art studio for high-quality recording and mixing. 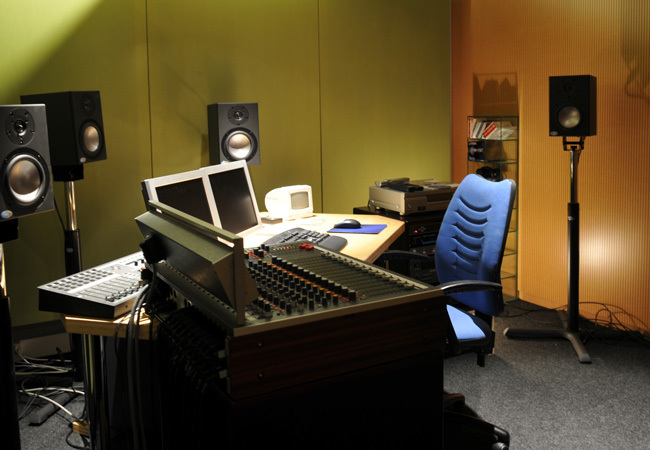 The possibility to make unlimited recordings in the music hall over a 24-hour period offers ideal conditions for artists and performers.